As clients prepare for and live in retirement, many are focused more on the significance, rather than the size, of their assets. They want to leave a meaningful legacy that enables their children to pursue their purpose. Through our private wealth services, we not only work with clients through their retirement years, but also with their children, helping families preserve these assets for the next generation. For those who require it, we can help you create a retirement strategy that incorporates your benefits package, takes advantage of tax-deferred and tax-free retirement accounts, and addresses any questions you may have regarding healthcare, insurance, and Social Security. We believe, an efficient estate plan not only incorporates tax reduction strategies, but also involves crafting a plan to help ensure that your assets transfer to your desired beneficiaries and that they are protected from lawsuits, divorce, and other risks. We can help you create a detailed inventory of your assets and who will receive what and when. 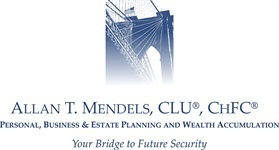 We can also work with your Attorneys and CPAs to help coordinate all of your planning needs. Have you determined the most appropriate tax-efficient ways to give back to the community? A few examples of how to do so is through Donor-Advised Funds, Private Foundation, Charitable Trust, and other funding opportunities. Without requesting in force illustrations for each policy, you could be leaving yourself vulnerable. Are your trustees, beneficiary designations, and policy types appropriate? Will any of your contracts collapse because of low returns and underfunding? We will review your policies and provide written analysis and recommendations, such as casualty, health, life, long-term care, and disability.